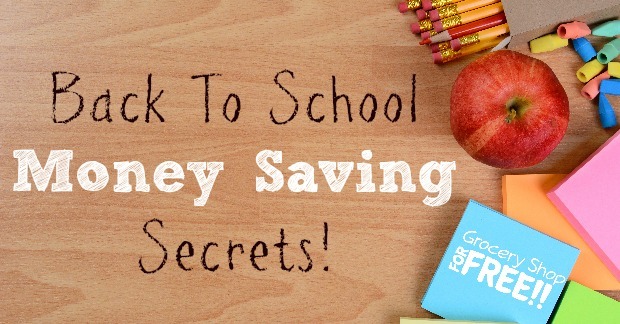 Secrets for Saving Money on School Supplies! You are here: Home / Family Living / Secrets For Saving Money On School Supplies! School supplies shopping can really take a bite out of your budget! It’s easy to get caught up in the school supply aisle buying too many items or being drawn into buying all the hottest character items available. We are posting all of the best Back To School Deals as they come available, so make sure to check those out! Have you received your back to school shopping lists yet? If so, you might be seeing dollar signs. It can be hard not to, as the back to school season typically feels financially overwhelming. If you want to get back to school for less, take a look below at 7 tips and tricks for saving money on school supplies. These tips can help you get the supplies you need without feeling like you have gone broke. 1. Don’t stray from the list. This suggestion means purchase items just on the supply list. Don’t get distracted by glitter pens and sparkling erasers. These are unnecessary extras that you don’t need. Instead, stay true to the list and only buy what is suggested. 2. Try office supply stores. Many office supply stores like Staples hold some fantastic penny sales and other hot back to school buys. Consider shopping at an office supply store instead of a big box retail store and see if you can find some better deals. 3. Not all dollar store buys are good. Sure you can find packs of pencils and crayons at the dollar store for a buck, but chances are stores such as Walmart will have the same ones for $0.88 cents or lower. Check out Walmart before heading to the dollar store to see what items you can get for less than a buck. 4. Go over supply care tips. You don’t want to find yourself buying supplies again in a few months, so go over care tips with your child. Teach them how to take care of their supplies and keep them safe so they last them for at least half of the school year. Put your child’s name on all of their supplies so if they get lost or fall on the floor they can be returned. This is one of the easiest ways to be sure your hard earned money is going in their desk where it is intended. You want to be sure you have labels on your big items especially, which include their school bag, lunch box, an any electronics you have to purchase. If you have access to the teacher prior to the school year, send a quick email asking her which items on the shopping list are the most essential. Some items on the list may not be needed or used right away so you can wait on those and possibly find a better price. 7. Coupons are everywhere. Find them! Coupons are everywhere during the fall back to school season, so look for them! Print coupons off online, find them in Sunday papers, or see if stores have coupons on their websites. Taking the time to look for these coupons is typically well worth it and can save you big on your purchases. 8. Don’t Take Your Students With You! They can be distracting to your goal and they can cause you to spend more money! So, if you can, this is the one shopping trip you’ll want to do without your kids! 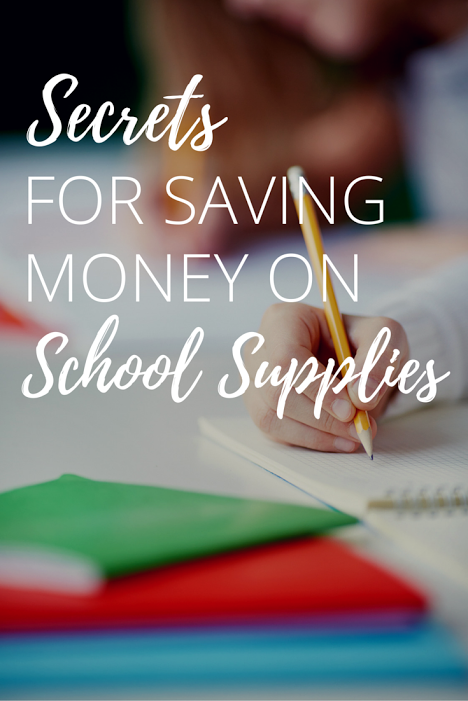 Give these tips and tricks for saving money on school supplies a try and see if they make a difference to your budget. They are great for getting back to school for less, without a ton of hassle or headache.